The Lovetones "City Meets The Stars"
The Young Sinclairs "Girl I'm For Real"
Linda Draper "Sharks & Royalty"
The Young Sinclairs' New Line-up Rocks Strange Matter! 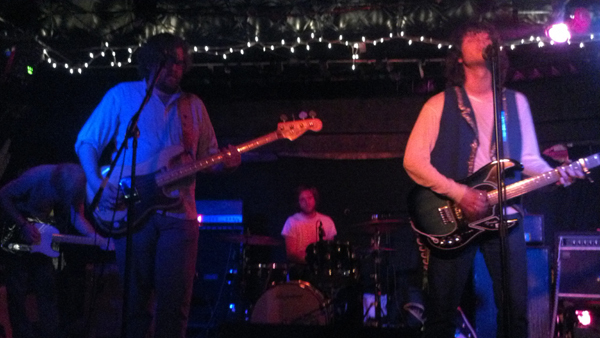 THE YOUNG SINCLAIRS made a second live appearance in as many months in Richmond, VA on Saturday February 9, 2013. The band, which also contains two new members (both based in Richmond, VA - and also play in indierock outfit PEACE BEAST) blazed through a set list kicking off with the high energy of the title track from their 2010 PSR 7" EP (also appearing as an album track via the 2010 LP "Chimeys") We Spoke Our Minds". The night was filled with some familiar classic Sinclairs songs: "Have A Home", "You Know Where To Find Me", and "I'll Get Even" among others. The Young Sinclairs also introduced several new tracks from "Far Away From Near" to the lastest single release - "Hurt My Pride" - and it's B-side "Nothin' To Say" . The band sizzled through a solid evening of melodic classic jangly/chimey guitar drivenindiepop/rock. Also on the bill for the evening: PEACE BEAST (which includes Joe Lunsford & Kyle Harris of YS) and former Young Sinclairs guitarist SEAN POFF and his band THE MISSIONARIES. Richmond based band HEAVY MIDGETS closed the evening out. Lead Sinclair Sam Lundsford confirmed more dates coming - a date in Boone, NC is the newest confirmed. Check out the live video clip from Strange Matter on 02.09.13 - THE YOUNG SINCLAIRS "You Know Where To Find Me"
Still haven't met the band? ASTROPOP 3 - Virginia Beach indiepop legends' - ASTROPOP 3's classic "RED" (Allies & Stepping Stones, 2003), "White" (Astropop 3, 1998), & "Blue" (Eclipsing Binary Star, 2000) LP's are now available for streaming via the band's bandcamp page - check it! 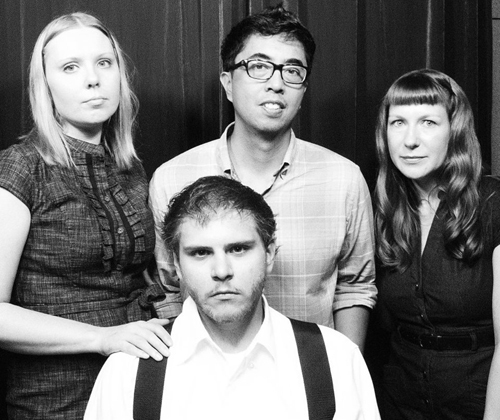 The Young Sinclairs Release New 7" + More Live Dates + Little Stevens Underground Garage + Sam Lunsford Solo LP! In more Sinclairs news: Steven Van Zandt has named the new single, "Hurt My Pride" as his COOLEST SONG IN THE WORLD for his radio show Little Steven's Underground Garage on MARCH 3RD, 2013! It will be the Coolest Song on his Sirius XM Channel (Channel 21), The Underground Garage, on MARCH 4TH! After that, it will be put into heavy rotation! 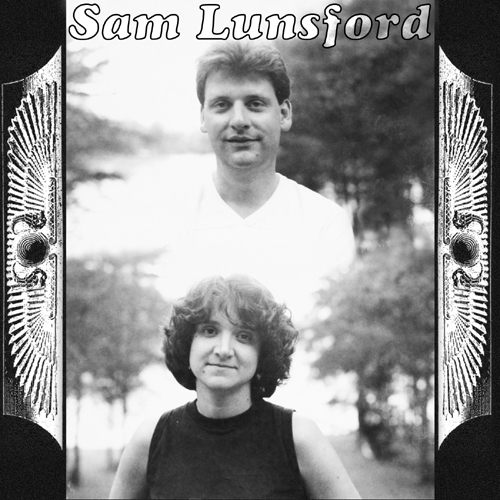 Sam Lunsford has been very busy with not only new Sinclairs music, but with an great new solo LP just released - it's onsale now (Mystic Fortress Records) digitally w/ cassette/CD available shortly - do yourself a favor and pick it up! In celebration of Tow's new solo LP we will be making available some ultra cool ltd. edtion bundle packages of both the Lovetones Lost vinyl LP+Dimensions CD+ limited edtion 2009 Tour Poster all at a special low price and some cool PSR stuff. Check back in the PSR SHOP for more goodies. Please do check out Matt on this exciting US TOUR. Crossing fingers on East Coast dates! 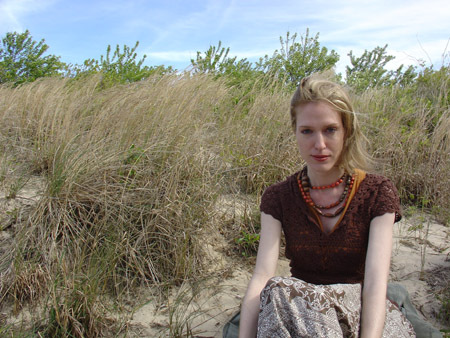 LINDA DRAPER - confirms the official release date of her seventh LP is 5/23/13 and is titled "Edgewise" and will be a self-released effort - initially available via CD + Digital Download, with a possible ltd. vinyl edition in the works. Draper has confirmed an 11 track album with several of the tracks performed on 2011's NO FRILLS TOUR, along with some awesome surprises. GUARANTEED to be another CLASSIC, CRITICALLY PRAISED album. 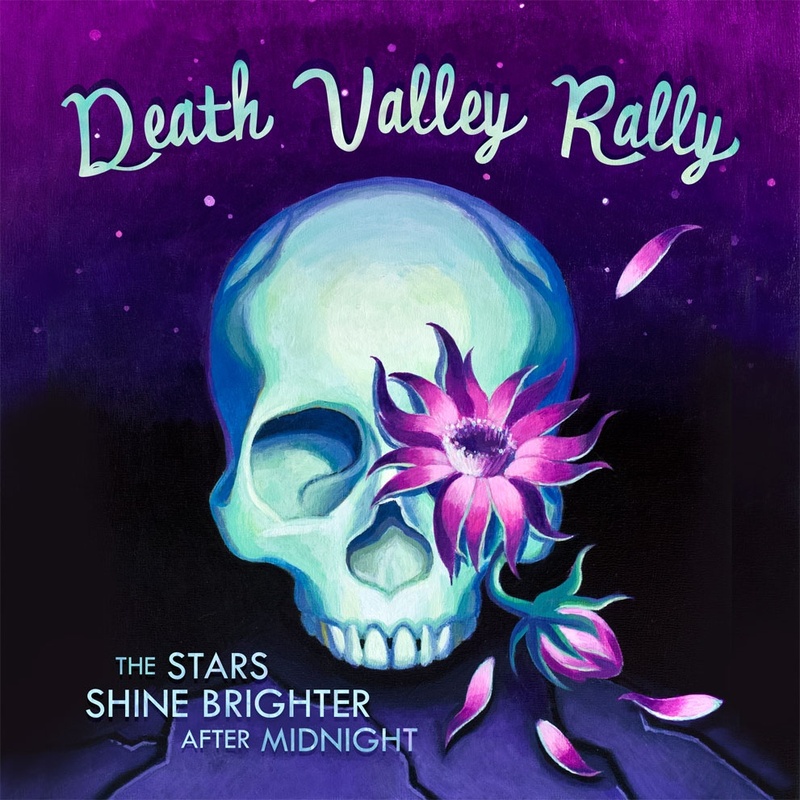 DEATH VALLEY RALLY - have finished confirmed a new live date - Saturday February 16, 2013 at The Jewish Mother in Virginia Beach, VA at 9:30 PM. Meanwhile it has been confirmed the band is working on packaging for their debut release. Their new album SELL YOUR MEMORIES is available Now via MINTY FRESH RECORDS on CD, VINYL and DOWNLOAD! 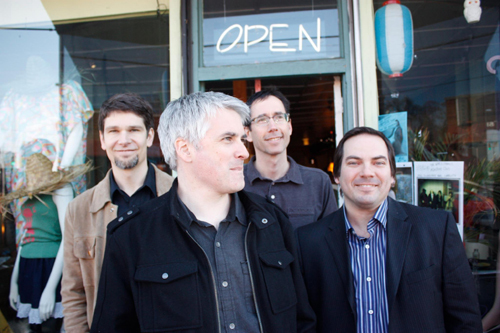 Mark Crozer & The Rels Featured In New Issue of The Big Takeover + International Jetsetters News! 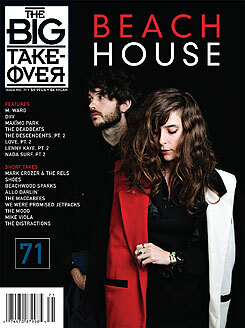 MARK CROZER & THE RELS are featured in the latest issue of indie bible THE BIG TAKEOVER (Issue #71 w/ Beach House on the cover). The debut album is also reviewed in the new issue. 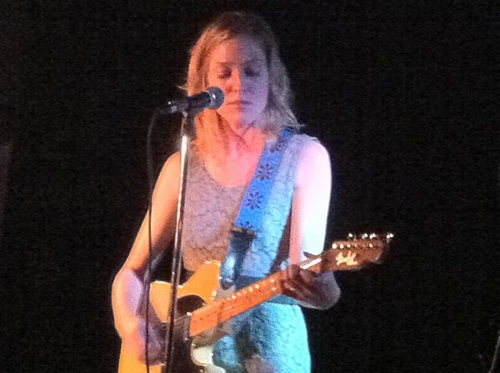 performing "Sidewalking", October 18, 2012. Want more INTERNATIONAL JETSETTERS news?? 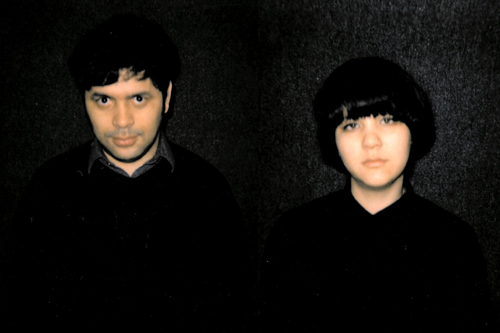 Two fifths of the band Bert & Fi have been working with their current fantastic group WELCOME TO PEEPWORLD and have just issued the new self-titled 5 song EP via Big Red Sky Records (UK) - be sure to LIKE 'em on FACEBOOK at Welcome To Peepworld. 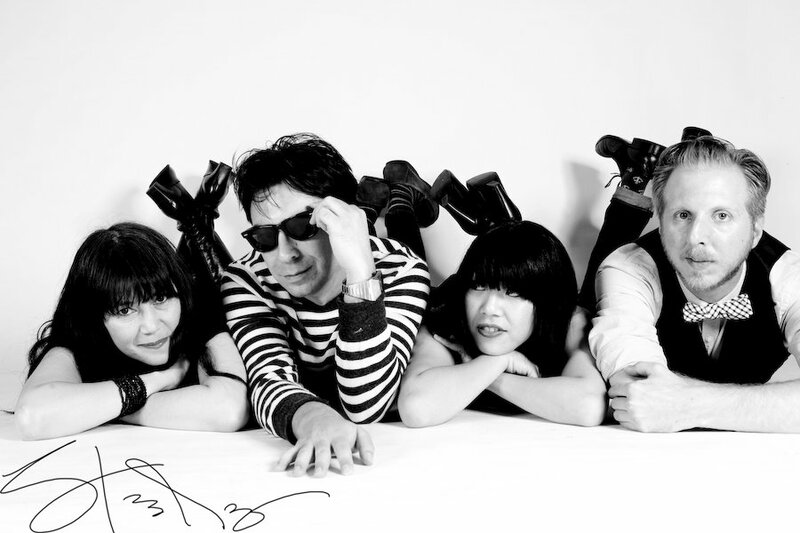 THE YOUNG SINCLAIRS, along with their recent Digital Deluxe reissues, French label Requiempouruntwister will be releasing some amazing 7" ltd. edition vinyl singles of "Hurt My Pride" and "New Day" - due out January 2013. PSR should have a few copies avail in the new year via the PSR SHOP. The band has also confirmed the rescheduled show (prev. date canceled by Hurricane Sandy) in Richmond, VA at Banditos for Sunday January 20, 2013 w/ Peace Beast - Mark your calendars! Last, Samuel Lunsford is set to release his debut solo LP on December 18th via (Mystic Fortress Recordings - digital/cassette) the first video is titled: "Just Wanted To Help" --- ACE! 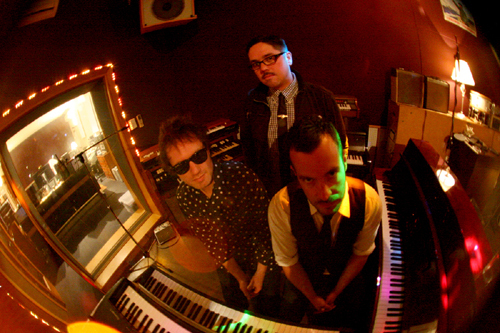 DEATH VALLEY RALLY - have finished recording of their debut EP - the mastering of the CD by Jon Chaikin is complete. The band is confirming via twitter new live dates to surface shortly. More info on official release to follow. 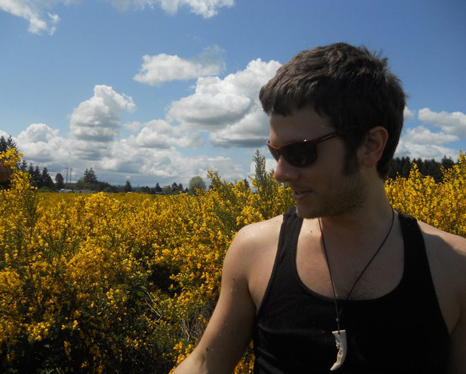 MATTHEW J TOW / THE LOVETONES - the debut solo album from Matthew J Tow - 'The Way Of Things' will be released on Xemu Records it looks now for Feb. 2013 along with a US Tour. Tow, also writes via facebook: "All the best for the festive season from Matthew, Matthew and Christopher! More news from The Lovetones in 2013. 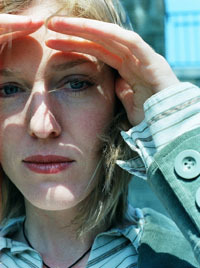 Peace x"
LINDA DRAPER - Confirms the release of her new LP now titled "Edgewise" and will be self-released in 2013 w/ digital download and possible ltd. edition CD + vinyl. 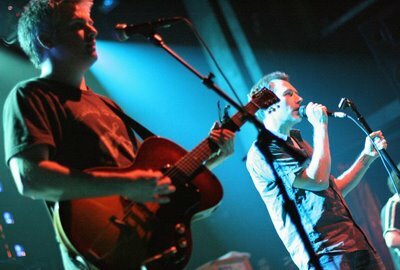 New NY live dates coming in early 2013. 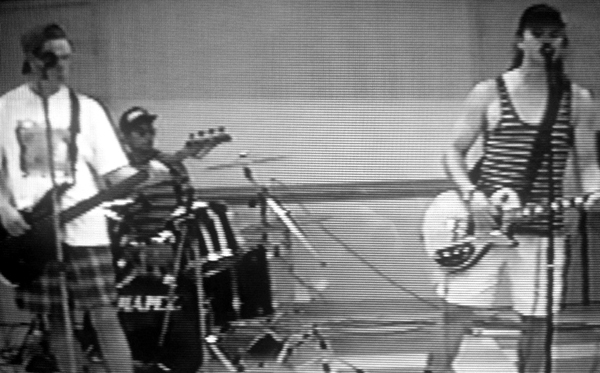 THE TAMBORINES - have been on a little hiatus, but guitarist/vocalist Henrique Laurindo confirms next live date will be in Feb. 2013. The band has also confirmed they are working on a new single and LP. PLANTING SEEDS RECORDS - We'd also like to wish everyone a very Merry Christmas & a Happy New Year. Hopefully more updates in the New Year + Some pretty awesome deals in the PSR SHOP coming. In the meantime, we'd like to leave you with our TOP/FAVE releases of 2012...finally got back to listening to new music. very much in question to why this BAND is not in THE ROCK 'N' ROLL HALL OF FAME??? CLASSIC AMAZING SET-LIST! 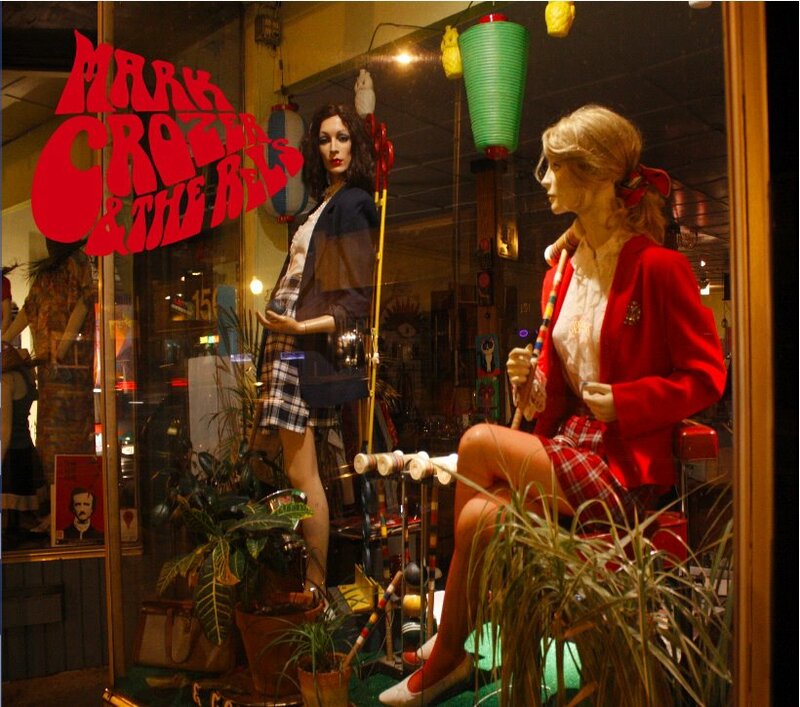 Mark Crozer Rejoins The Jesus & Mary Chain; Debut LP from MC & The Rels Receiving Critical Praise! 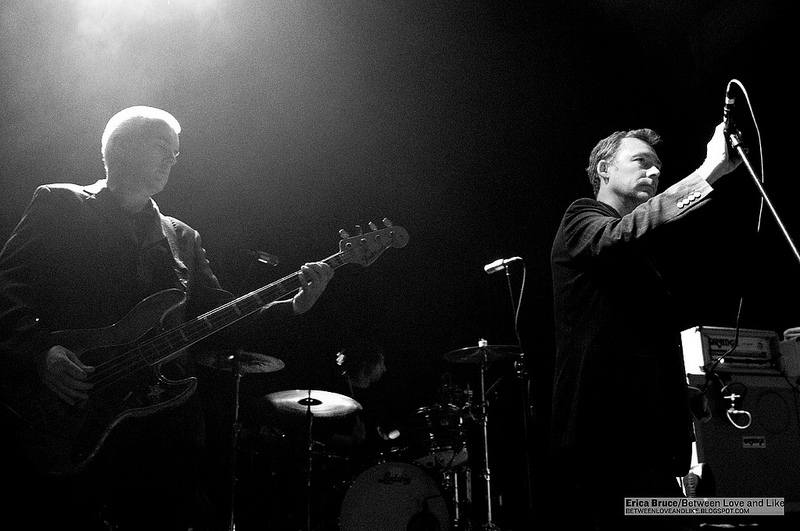 Mark Crozer is set to rejoin THE JESUS & MARY CHAIN for shows on Oct. 18-19, 2012 in Tel Aviv, Israel at the Barby Club and perhaps beyond. Mark has confirmed he will be replacing the recently departed John Moore on guitar. No other dates have been announced at this time. Crozer has also stated that new dates for his current project MARK CROZER & THE RELS will be upcoming. VIDEO:: The Jesus & Mary Chain - "Between Planets" + Jim & Willaim Reid Interview + "Blues From A Gun"
"the best bits of powerpop and The Paisley Underground, mixed that with early Primal Scream, Lightning Seeds and the Pale Saints, added some jangly indie-pop guitars and made a delicious confection"
The Young Sinclairs Return With New Deluxe Digital Reissues + New Line-up & Shows! 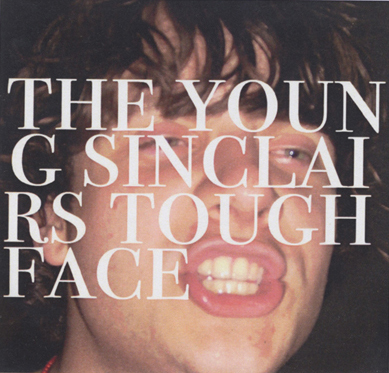 Roanoke, VA's The Young Sinclairs are back with new shows this fall as well as two long awaited deluxe digital reissues -"O Bummer" (PSR079) and "Tough Face" (PSR080). If that wasn't enough good news, the band is back and set to introduce a new line-up. 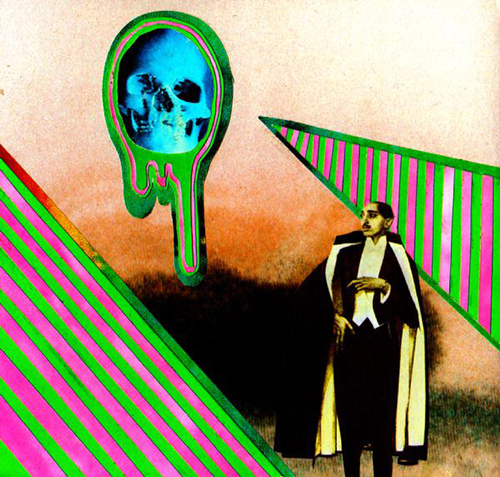 A smattering of 4-chord garage-psych snarlers and chimey bashers from 2005-2007. 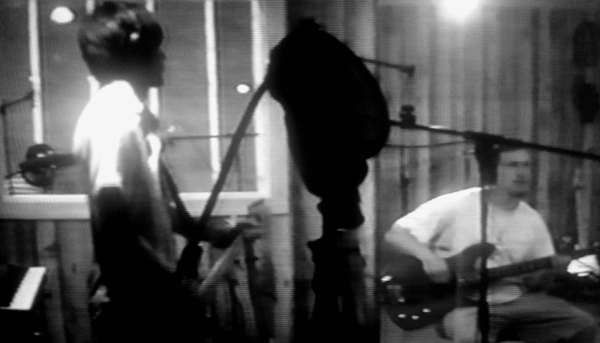 Outtakes from 'Feel Bad' sessions, 4-track recordings and more. Lead Sinclair Sam Lunsford confirms the new line-up of the band: Sam Lunsford (Vocals, 12 String etc), John Thompson (Guitar - prev. drums), Joe Lunsford (Drums), and Kyle Harris (bass - The Diamond Center). The band confirms a trio of dates so far with more to come. Virginia Indie Shoegaze/Noise-Popmakers Death Valley Rally, Join The Planting Seeds Collective, Set To Release Debut! 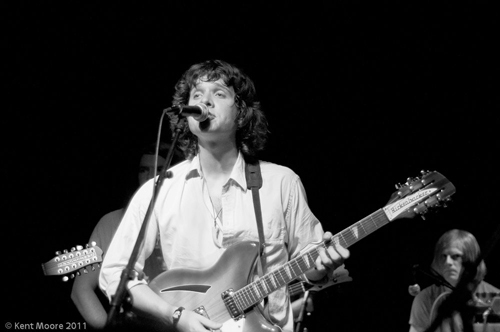 the most recent shows featured Mark Crozer & The Rels' "I Need A Vaccination" & "Put Those 80s Records On" along with music from Jack White, John Cale, Cat Power, and more! Want more Crozer news? Well, Legendary DJ and Mayor of Sunset Strip - Rodney Bingenheimer debut a duo of tracks - "I Need A Vaccination" + "Put Those 80s Records On" from Mark Crozer & The Rels S/T LP on his "Rodney On The ROQ" 09.10.12 Radio program via KROQ in LA - which also featured some ace tracks from Dum Dum Girls, Red Kross, The Cramps, The Beach Boys, and more! Such a fantastic show - lots and lots of noise//feedback and driving bass/drums - indeed brought us back to 1989-1990 live era Mary Chain! 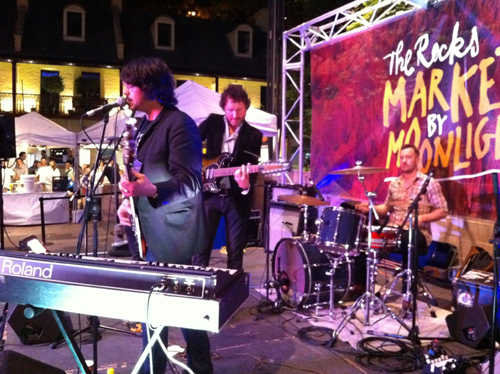 Mark Crozer & The Rels To Release Ultra Limited Edition 15 Track CD! One time JESUS & MARY CHAIN guitarist as well as leader of Oxford, UK band - INTERNATIONAL JETSETTERS - MARK CROZER (now based in Charlotte, NC) is set to issue an ULTRA LIMITED SPECIAL EDITION 15 song Self-Titled Debut COMPACT DISC from his new band MARK CROZER & THE RELS (This edition includes the viral/download hit "Broken Out In Love" - fans of the WWE will recognize this track!) via Planting Seeds . The album is co-mixed by Jay Braun (Norah Jones, Jon Spencer Blues Explosion, Cat Power, Fiery Furnaces etc.) + also features an appearance from fellow International Jetsetters bassist Bert Audubert. The CD drops on September 18, 2012 and will be available at your favorite record shops around the way as well as the usual online outlets (Amazon.com, CD Universe, Best Buy etc.) and via the PSR SHOP. Pick up this **VERY LIMITED EDITION** soon to be collectible classic!!! - Help support Mark's/PSR's latest project. 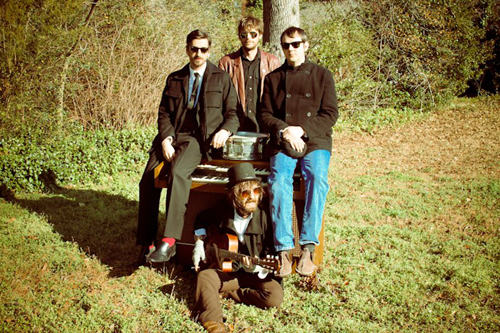 VIDEO:: SAMMY SUEDE & THE STRAYS "Just A Memory"
VIDEO:: SAMMY SUEDE & THE STRAYS "Sweet Adeline"
In more YOUNG SINCLAIRS related news, SAM LUNSFORD has been posting a slew of new previously unreleased music via their MYSTIC FORTRESS SOUNDCLOUD page. Highly recommended - including the latest upload, THE YOUNG SINCLAIRS "All Fallen Down" + "Never Uneasy" & more! Last, YOUNG SINCLAIRS DELUXE DIGITAL REISSUES for "O Bummer" and "Tough Face" coming this fall - many apologies of the many false starts. Official release date coming soon. For even more please visit http://www.samueljoneslunsford.com/ for lyrics to the songs + lots more. 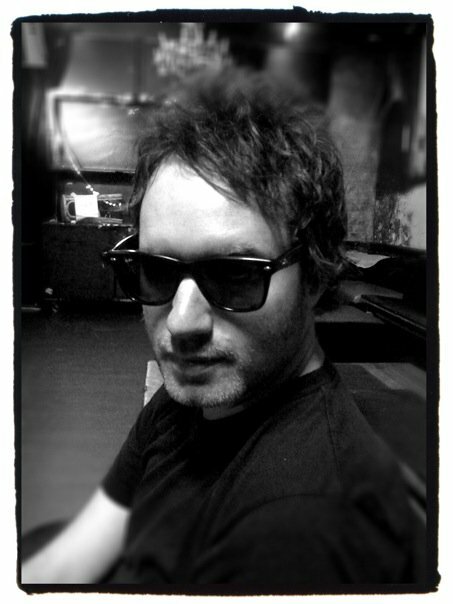 THE LOVETONES' MATT TOW CONFIRMS NEW SOLO LP RELEASED VIA L.A. LABEL XEMU + LOVETONES NEW LP IN 2013? "It's with great excitement that I can finally announce that the new solo album will be released by Xemu Records (home to Dead Meadow, Spindrift etc) later in the year! I'll have a release date soon, so keep you updated on that. The album has just been mastered here in Sydney with the William Bowden and the record was produced by the amazing Collin Hegna and Ryan Carlson van Kriedt! it will blow your minds..peace!" 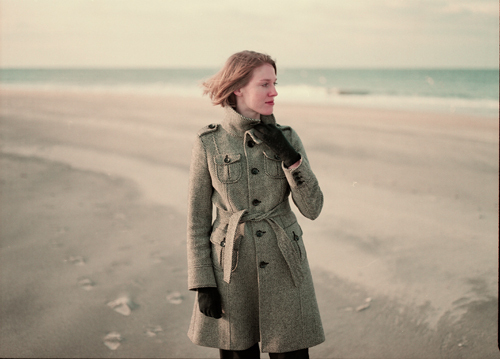 NY's Linda Draper has confirmed work on her long awaited follow up to 2009's "Bridge And Tunnel". The new album is being recorded in NYC with producer MATT KEATING (who as an artist released music via ALAN MCGEE'S POPTONES label) and will be a self-released effort due out soon. Linda has confirmed two of the demo tracks previously featured on her now out-of-print digital EP "Pushing Up The Day" - "So Long" and "Sleepwalkers" should be on the final track listing. In more Linda Draper news, an old classic track from her timeless "One Two Three Four" LP should appear on the next Planting Seeds Records FREE LIMITED TIME DIGITAL COMPILATION. More news on that soon. 08.30.12 - New York, NY @The Bowery Electric - THE MAP ROOM - 7:30 PM - FREE SHOW! 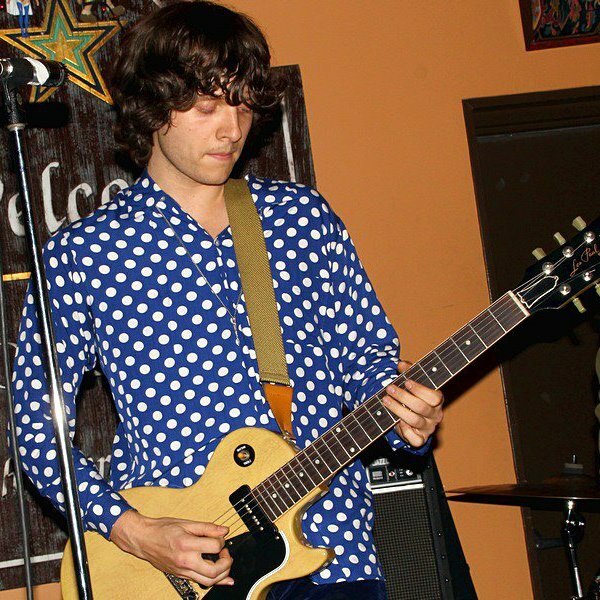 THE TAMBORINES - Guitarist and vocalist Henrique Laurindo has confirmed the band has taken a break that should follow thru til the end of the year but promises a slew of new recordings/projects coming in 2013 with hopes of a return to the USA for new live dates. Stay tuned. SUNDAY SMOKE KIT - have begun demoing tracks - leader/Guitarist Scott Meiggs has confirmed the band will look for a potential 2013 release. It's in the early planning stages but looks to include the original line-up. 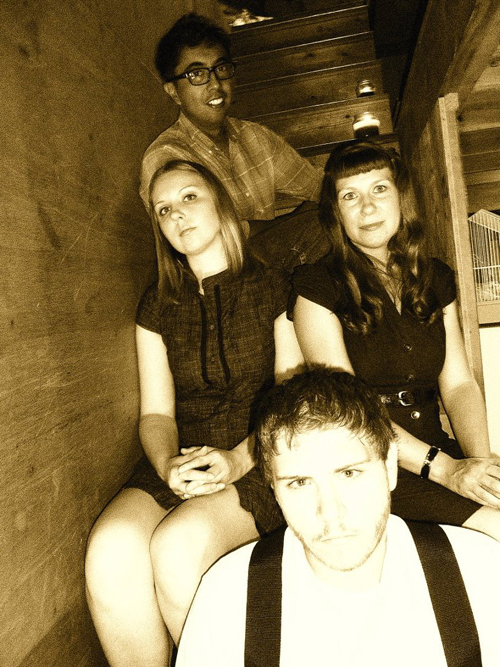 FONDA - PSR alum Fonda, have confirmed they have finished recording 10 new songs to be released on CD/LP later this year. More details coming very soon! 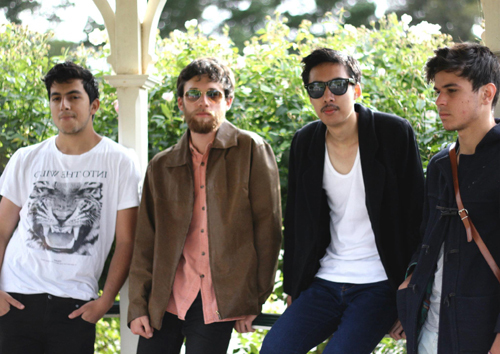 You can follow them via http://www.facebook.com/fondaband. Meanwhile we have found the last of the "Summerland" 7" vinyl single released many moons ago - look for it in the PSR shop shortly. Summer Live Dates! + Young Sinclairs Digital Reissues Continue! Summer is here and Summer means your chance to enjoy the weather and the awesome live music that comes with it - Below is a list of Concert dates from PSR Related artists - some of which appeared on the PSR's current FREE Compilation "Wavelengths". Check out all these great artists!! 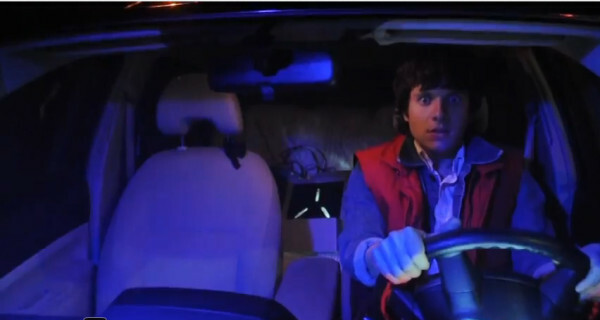 If we were in all those locations we'd be heading out to see it all!!! 07.10.12 New York, NY @ The Bitter End 730PM- Linda will be joined by Robert Woodcock on bass and Eric Puente on drums! WAVELENGTHS FREE DIGITAL COMPILATION - Summer is in full swing, grab these tracks for FREE for a limited time - the download option will be removed on or around JULY 10th - so don't delay - some truly amazing tracks to own! Thanks everyone for the support, another FREE LIMITED comp is in the works. DEATH VALLEY RALLY - The band have been busy with the recording of their debut EP "Love, Loss, And Revenge", guitarist Tiffany Riley confirms recording should be complete by months end - with live dates coming. 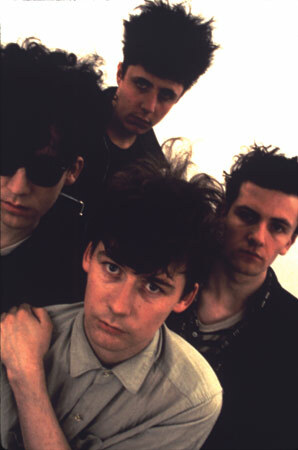 FREEHEAT/JESUS & MARY CHAIN - The Mary Chain are back on the road and PSR's Rob Dobb's has been taking it all in on the west coast - check out his clip for "Head On" Live at Hollywood Park - Los Angeles, CA on 06.15.12: http://www.youtube.com/watch?v=OCozu29g5ko&feature=share. 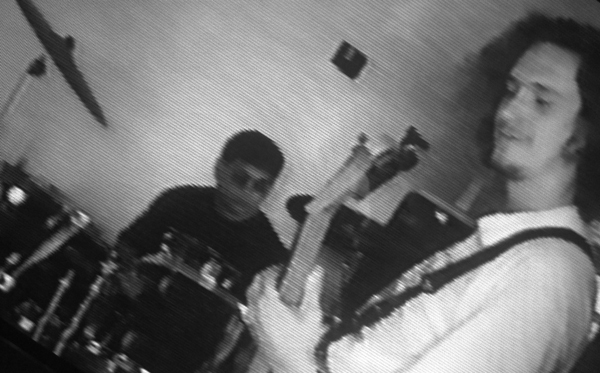 Meanwhile one time JAMC guitarist/bassist BEN LURIE has been putting together tracks - one of which should be appearing on the next Limited Time FREE DigitalPSR compilation due out this fall. More news sure to follow. We recently unearthered a few live images from the archives, featuring PRE-PSR band REV9 and an early line-up of ASTROPOP 3. A few other archival images have surfaced via twitter.com. New Free Digital Download PSR Compilation/Mixtape/Sampler! Spring is here and Summer is just around the corner. The Planting Seeds Collective have compiled 10 tracks sure to be the perfect soundtrack for those Spring/Summer days & nights. "Wavelengths" (PSR081) is a collection of PSR recent releases, new tracks from familiar faces, and songs from our great new friends we've met along the way. 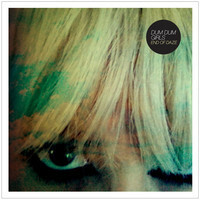 We hope you enjoy this **FREE LIMITED TIME** digital download LP! We're hoping to continue to bring more volumes in the near future. Remember to discover and buy these artists wonderful music and releases! Spread the word and help keep our D.I.Y./Indie dream alive. "Hurricane" is a track from The Lovetones' recent critically acclaimed LP "Lost" (PSR069) - released on Limited Edition 12" vinyl. The Band is currently gearing up for the release of their career spanning retrospective: "2002-2012 Provenance - Collected Works" - Out via Undercover in Australia. 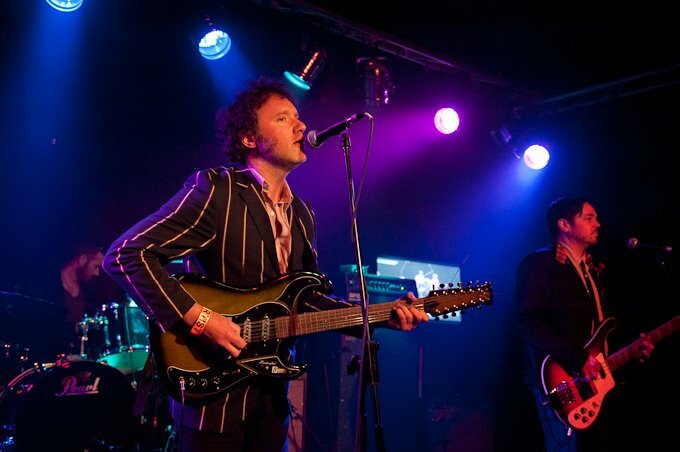 Tow & Co. are also set for live dates in April with the legendary Hoodoo Gurus. 2:: FIELD TRIP "Give Me A Break"
3:: The Young Sinclairs "Tribe"
4:: THE MIRRORS "Wake Up, It's Yesterday"
5:: THE TAMBORINES "Black And Blue"
6:: DEATH VALLEY RALLY "Stop And Go"
7:: MARK CROZER AND THE RELS "Killed By Karma"
8:: ASTROPOP 3 "Say No More"
9:: LINDA DRAPER "Broken Eggshell"
10:: OLD TOY TRAINS "Minturn (Edit)"
"Minturn (Single Edit)" is from LA based band Old Toy Trains debut EP "Electric Railway" - (the unedited version appears). Old Toy Trains, a school of like-minded travelers who have grown in numbers over the course of various incarnations that are at times minimal and cosmic through the telescope that should be on your front porch. New update coming shortly...........The Lovetones, The Young Sinclairs, Linda Draper, more!!! 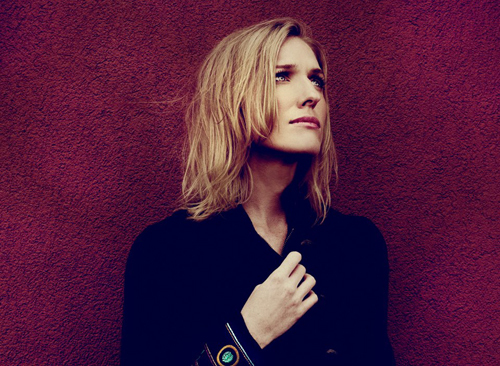 Linda Draper Unveils New Website + New Live Dates + New Recording! LINDA DRAPER - After a long hiatus, and some major renovations, she has confirmed her official website, http://www.lindadraper.net/ is back up and kicking. Check out the latest news, shows, new biography, and links to her releases via i-Tunes. More updates sure to come via her official website. 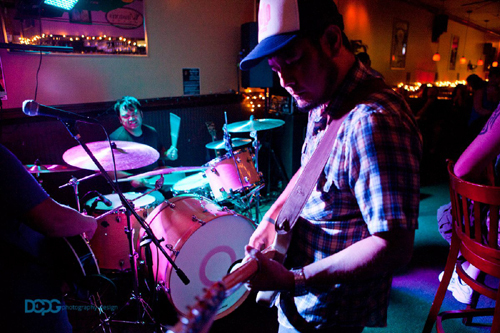 03.31.12@ The Thirsty Beaver Charlotte, NC w/ Overmountain Men. In more Crozer news, his latest single is due to be included on the new PSR FREE DIGITAL SAMPLER...more on the soon. 03.13.12 @ El Cid Silverlake, CA 10pm w/ our pals Lower Echelon. THE LOVETONES - via Matt Tow, the band is almost finished putting The Lovetones 'best of' together..it will be out mid april and will be called..'2002-2012 Provenance - Collected Works'..more details on track listing soon. In memory of David Jones. Thanks for the great music and memories. 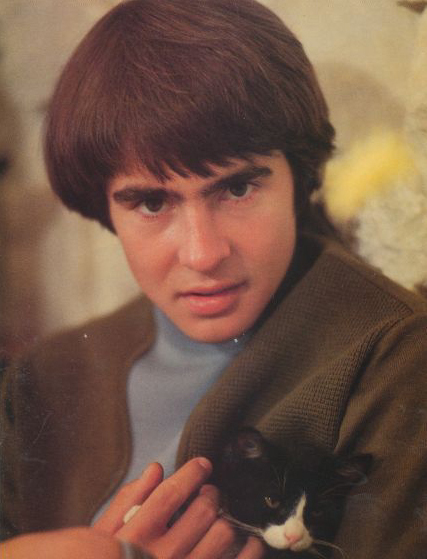 Davy Jones/The Monkees were one of the reasons we started playing music. 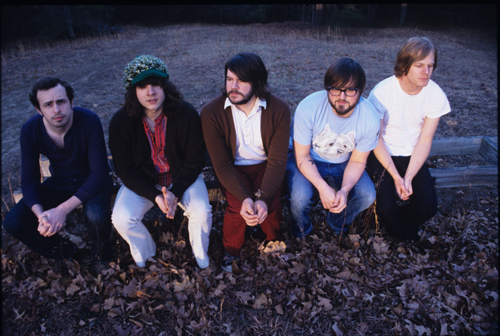 PHOTO CREDITS: LINDA DRAPER photo by Tim Underwood; SAMUEL LUNSFORD in FUTURE BOY courtesy of Swede-N-Sour; DAVY JONES courtesy of Tigebeat (internet). 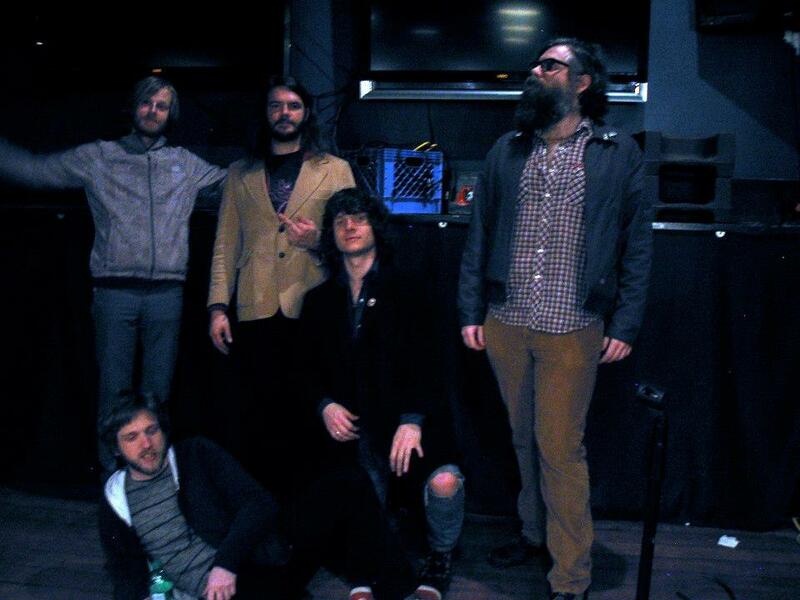 The Lovetones Plan New "Best Of" and Dates With The Hoodoo Gurus + More! THE LOVETONES' Matthew J Tow has cofirmed a slew of projects are in the works...Tow writes via the band's facebook page: "exciting news from the lovetones hq..first up, we are getting ready for the release of the lovetones compilation record, which should be hitting store around early april. 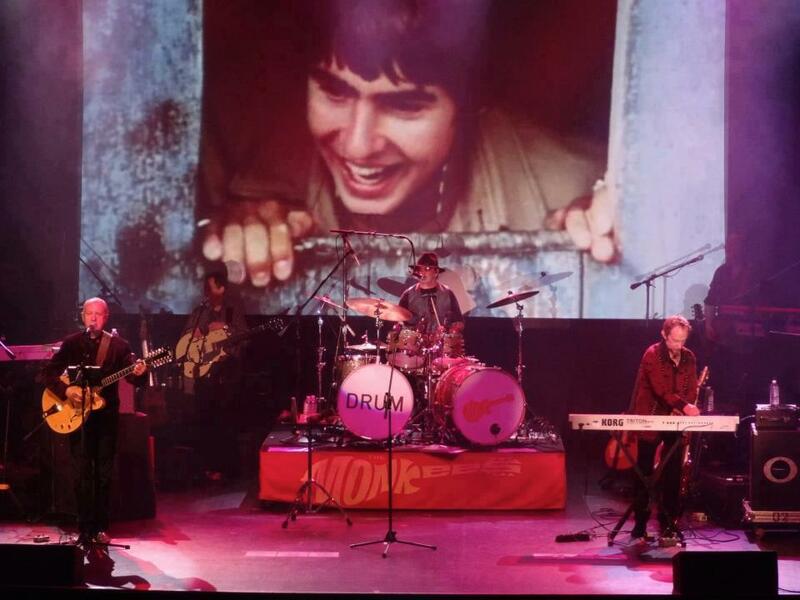 the yet to be named record will feature songs from all 5 lovetones albums, together with a live dvd recorded in sydney at the metro theater. the release will coincide with the lovetones performing 2 shows in syd and melb with the legendary hoodoo gurus on april 22 and 25..more news about that soon..and lastly this year will see the band included on the 'talk talk' tribute album with a version of 'the party's over' to be released on fierce panda records later in the year..it's gonna be a big year..more news soon and we can't wait to get out there and see you all again..peace." 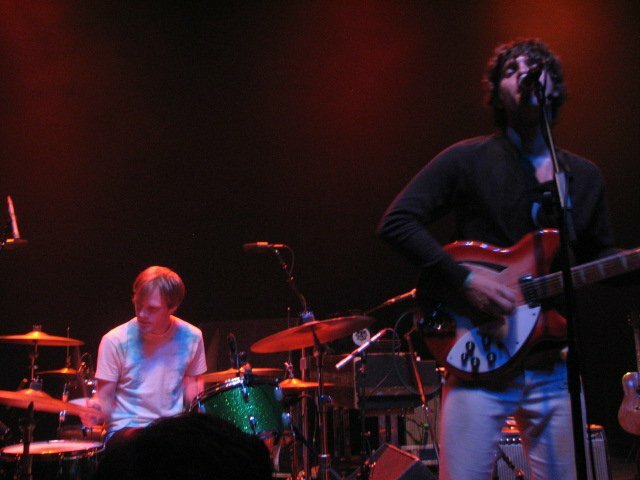 Tow also confirms the live dvd is from moshcam footage shot at the metro when The Lovetones performed with The Brian Jonestown Massacre in around 2009. 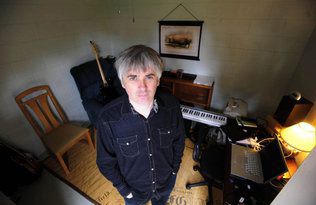 He also confirms for all to expect a Matthew J Tow solo album mid year sometime and a Matthew Sigley solo album too! Lots of great plans are coming together with The Lovetones. Keep checking back here for more details. Along with the 02.07.12 digital reissue of the YOUNG SINCLAIRS "Indian Winter" (PSR078), Roanoke record label SEWN TOGETHER RECORDS is releasing a digital collection of YOUNG SINCLAIRS tunes for free on their site. Sinclair guitarist Sean Michael Poff confirmed it's release as 01.17.12, but as of press time the collection has not been made availble. The compilation is called "Culled From the Link: A Collection of B-Sides, Covers and Unreleased Material from the Young Sinclairs". Samuel also confirmed he and John Thompson have been recording new YOUNG SINCLAIRS track this month, and is hoping to hit the road for solo acoustic dates. Stay tuned for more information. 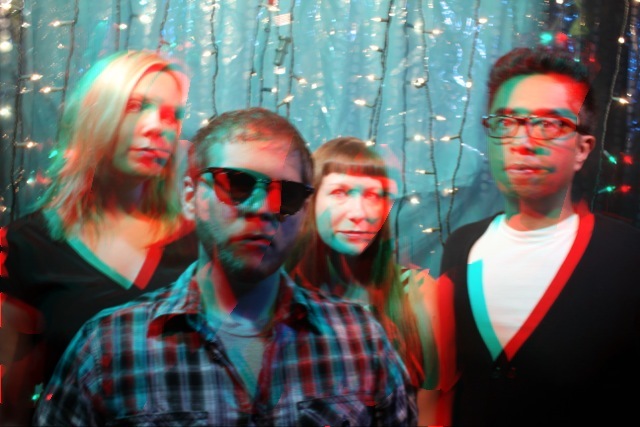 OLD TOY TRAINS - Leader Bo Chung has confirmed the band has been busy since right after Christmas - tracking new songs, along with a little line-up change. 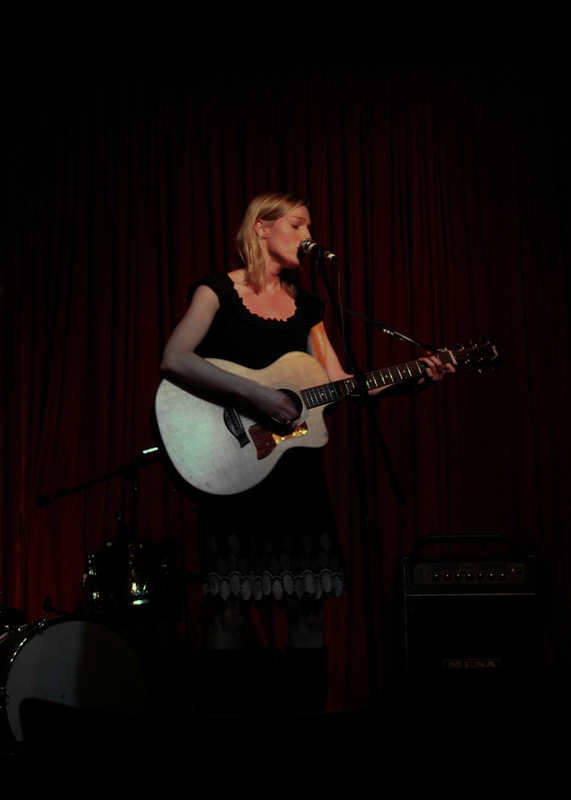 Bo has also confirmed member Suki Ewers has also been busy with the reformed MAZZY STAR. More information on the band shortly. PLANTING SEEDS RECORDS - more news coming soon, with a slew of projects in the beginning stages....we'll be launching a new FREE DIGITAL SAMPLER for 2012 shortly, featuring all your faves + more! PHOTO CREDITS: The Lovetones Live courtesy of facebook.com/thelovetones; Linda Draper photo courtesy The Planting Seeds Records Collection. 12.28.11 @ New York, NY @ 9PM Sidewalk Cafe --> ROB WOODCOCK joins Linda on bass. MARK CROZER - IJ's/JAMC's MARK CROZER is featured in today's CHARLOTTE OBSERVER - a great read check it out! 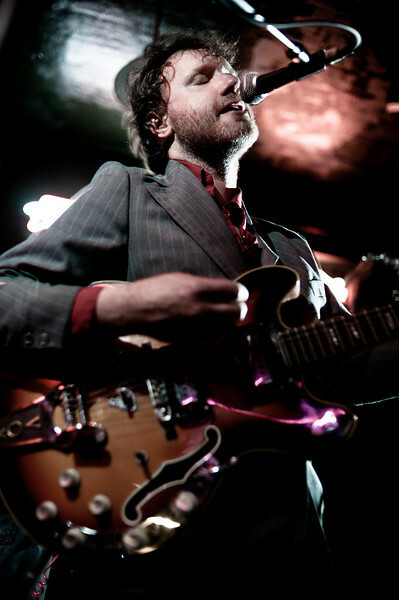 THE LOVETONES - Matthew Sigley from The Lovetones performs in the first Daytime Frequency show of 2012 in Melbourne! Previewing songs from the long awaited second album. With the sublime Alarm Birds and Mount Macedon! Mount Macedon + Alarm Birds + The Daytime Frequency Sunday, January 8, 2012 at 4:00pm at The Empress Hotel. Matthew J Tow also confirms more work on his solo LP - more work on the solo album at Revolver Studios in Portland by the wonderful production team of Collin Hegna and Ryan Carlson Van Kriedt. The record is in it's final stages with the team finishing off the last couple tunes with help from Jason (plucky) Anchondo on the drums. 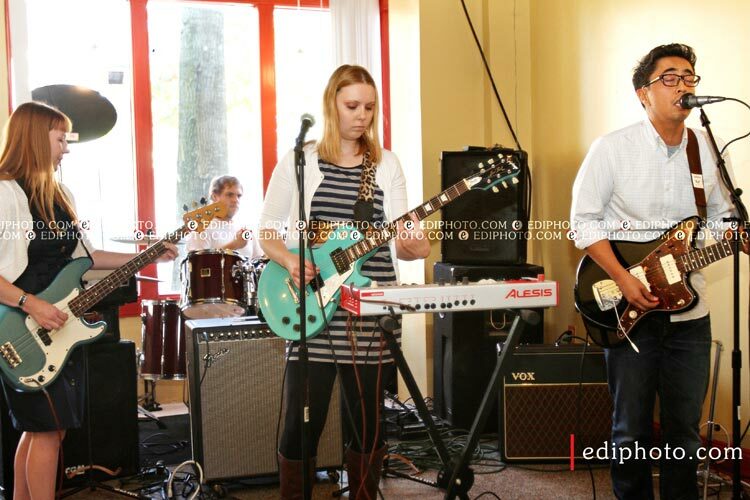 PHOTO CREDITS: The Young Sinclairs/Samuel Lunsford photo courtesy of Marshall Hicks; Linda Draper photo courtesy of facebook.com/lindadrapermusic; Mark Crozer photo courtesy of The Charlotte Observer. Check the archive for past news. ©2001-2011 Planting Seeds Records. All rights reserved.